From a small supervisory team at Istanbul (Yeşilköy) Atatürk Airport almost 40 years ago, we have grown into Turkey’s most extensive representation, supervision and management network. Since 1979, Gözen Air Services not only has expanded in terms of station numbers and scope of services but also established standards that attract and retain talented personnel. 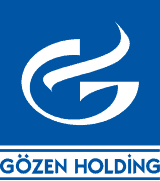 At any moment of all these past years, Gözen professional culture and commercial code of conduct have been meticulously transmitted to each one of all our staff. In the course of all these years, we have rendered our services to high majority of carriers operating to Turkey. In the intervening years, we never forgot that each operation is a fresh start for a new memorable service. Our greatest strength is the dedication we have for our work. This is exactly why Gozen staff will still remember your special requests even if the last time you have flown with us was long time ago.